Ukiah bed and breakfast travel guide for romantic, historic and adventure b&b's. Browse through the iLoveInns.com database of Ukiah, California bed and breakfasts and country inns to find detailed listings that include room rates, special deals and area activities. You can click on the 'check rates and availability' button to contact the innkeeper. Ukiah is the its wonderful and largest city in Mendocino County, California. Just a couple of miles away from the center of Ukiah, is the Cow Mountain Recreation Area. This is complete with hiking and biking trails, ATV roads, and natural wonders. Get a taste of the excellent wines at Bonterra Vineyards, which is only eight miles away. If one wishes to relax or to unwind, the best way to do so is at the Orr Hot Springs, which is very near Ukiah. Lake Mendocino is another destination that should not be missed by lovers of the great outdoors. With Ukiah bed and breakfast inns around, seeking accommodations should be easy. 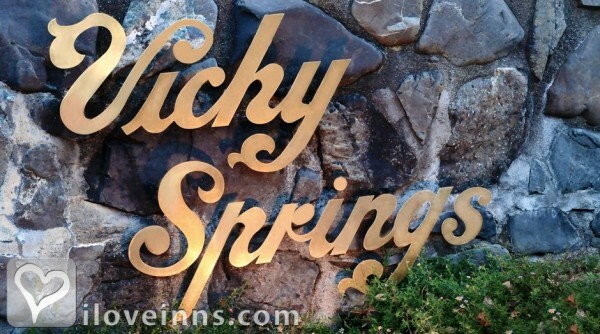 By Vichy Hot Springs Resort & Inn.